New fresh crop!!! El Suspiro is one of the few coffees sourced from our trip to El Salvador and Nicaragua back in February this year. 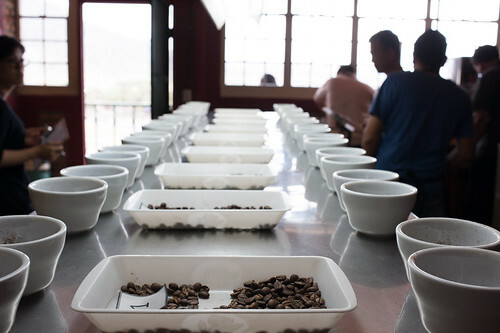 This coffee really got our attention on the cupping table at Beneficio Don Esteban, the dry mill where all coffees of the Mierisch family are brought together from their eight farms in Nicaragua. Finca El Suspiro is one of the farms owned by the Mierisch family. The Mierisch family has roots in coffee going back to 1908. The last 15 years have lead to a dramatic increase in unique microlots. With investment in new cultivars, techniques, processing, and employee training, the family has proven that hard work and dedication get results. They have been COE winners several times and have also attained a solid reputation as socially and environmentally responsible farmers. El Suspiro is the smallest farm amongst those owned by the Mierisch family. This farm is located in Matagalpa, a well-known area for coffee production in Nicaragua. Maria Ligia Mierisch, one of the 4 Mierisch siblings, started getting more actively involved in the management of this farm in recent years. The coffee varietals grown in this farm include Caturra Estrella, Red Catuai, Red Bourbon, Orange Bourbon and Maracatu. 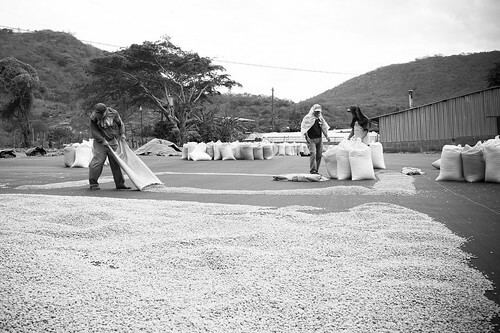 The microlot which we selected is of Red Bourbon varietal and pulped natural processed. This is truly a delicious fruity cup when hot and transforms to a more caramel and chocolaty cup as it cools. The floral aromas, cranberry acidity, citrus flavours and almond notes really shines through as a drip coffee. This is a well-balanced coffee that would work well as a morning coffee or for an afternoon caffeine break. We are currently serving this coffee on the Kalita wave dripper, and the retail bags are both available in-store as well as our online shop.